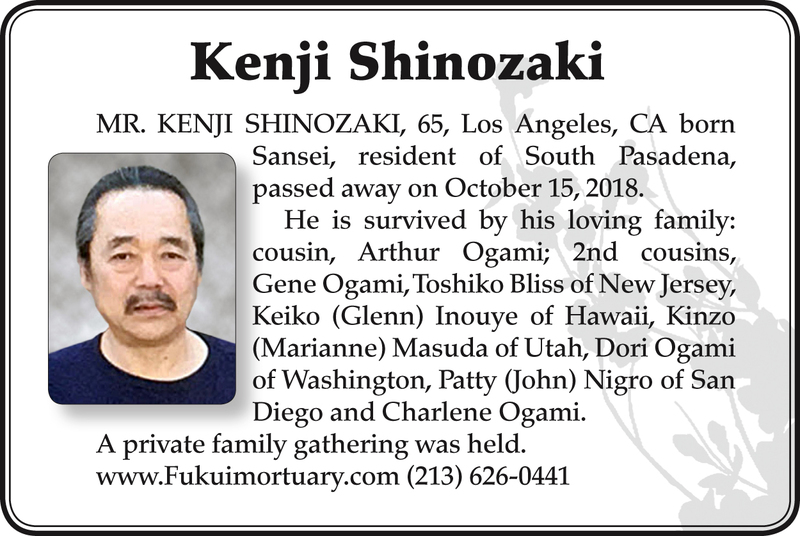 MR. KENJI SHINOZAKI, 65, Los Angeles, CA born Sansei, resident of South Pasadena, passed away on October 15, 2018. 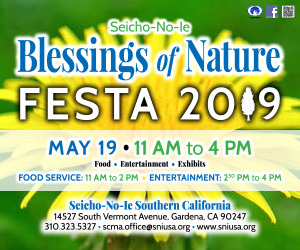 He is survived by his loving family: cousin, Arthur Ogami; 2nd cousins, Gene Ogami, Toshiko Bliss of New Jersey, Keiko (Glenn) Inouye of Hawaii, Kinzo (Marianne) Masuda of Utah, Dori Ogami of Washington, Patty (John) Nigro of San Diego and Charlene Ogami. A private family gathering was held.